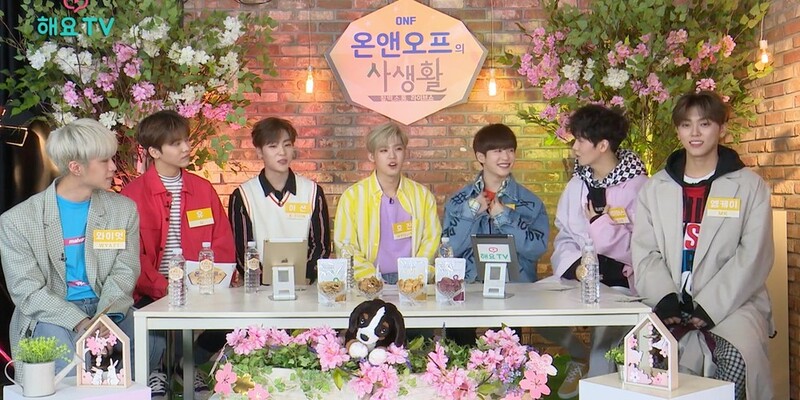 ONF were the next stars up on the March 22 episode of Heyo TV's 'Private Life' series! The rookie boy group played games with one another, sat down for a chat, and more during their 'ONF's Private Life'. One question they answered dealt with the members' sleeping habits. Leader Hyojin, who claimed to stay up late at night often even when the other members are sleeping, began, "First, Wyatt and E-tion, they grind their teeth. And that noise, when you hear it in the wee early morning hours, in the dark, it's a little scary." He continued, "And this is really scary, but Laun and J-Us sometimes, it's really scary... You know when you sleep, your throat closes up. But their voices are not the voices of people whose throats are closed up. They just talk. They talk to someone in their sleep. They say, 'Hey, my name is J-Us'. They talk so normally like they're awake." What about Hyojin's sleeping habits? E-tion revealed, "Hyojin's habit is that when he sleeps, he sleeps in the weirdest poses." J-Us added, "He was sleeping parallel with the short length of the bed." Watch the clip from 'ONF's Private Life' below!